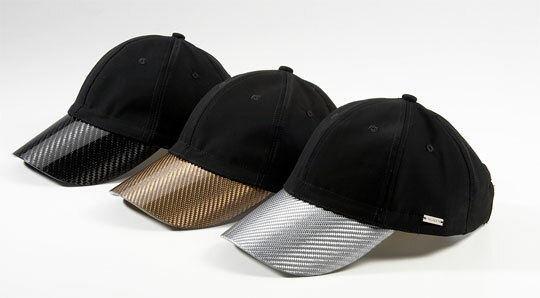 Carbon fiber is the new, ummmmm…. chrome? These hats look like they’ve go great with Crash Override’s outfit while he hacks the Gibson and smooches an elfin Acid Burn [Link NSFW]. The hats are made by Ginity and are purported to mix Formula 1 materials with downtown street stylee, but I’ll believe it when I see it on someone’s head. Until then, feast your eyes on the magic of golden carbon.